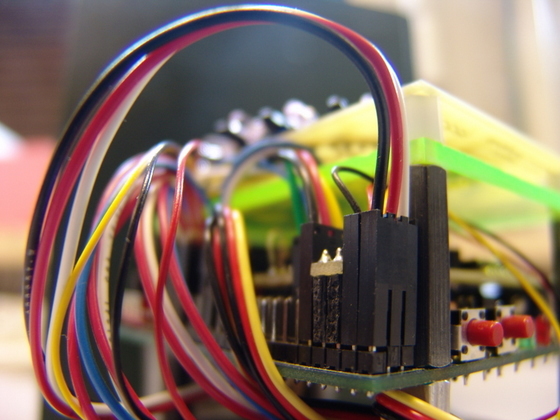 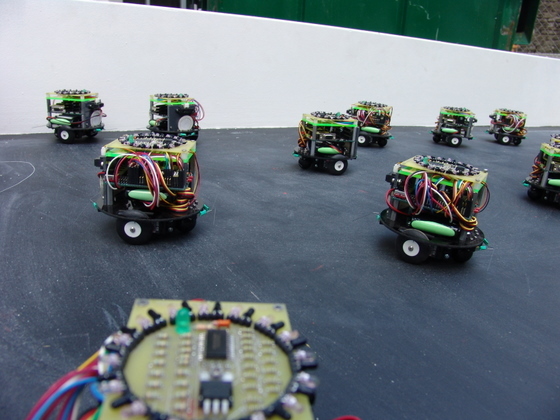 In mid 2004, I started a group to design and build a robot colony in the Robotics Club. 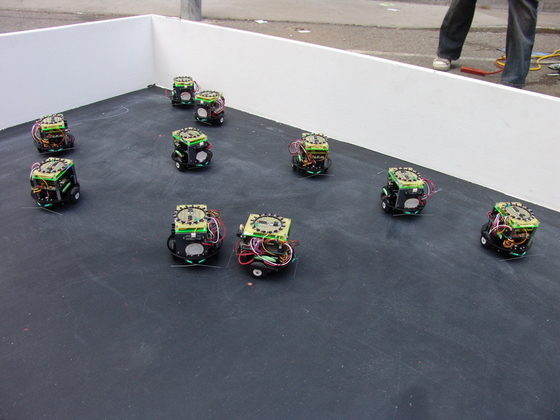 The idea was to see how cheap we could keep the implementation by distributing sensors across different robots and using cheap radios and microprocessors, while still being able to accomplish tasks like "find the orange ball and circle around it." 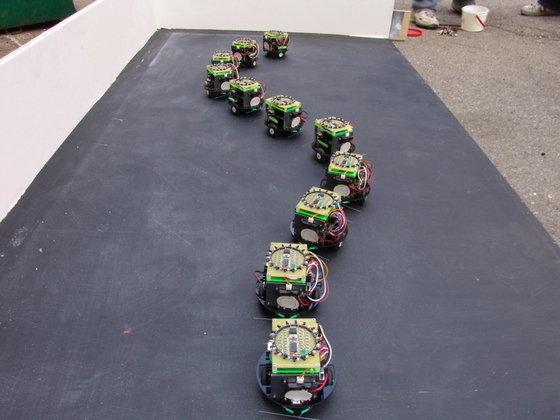 A dedicated undergraduate team was assembled and produced a behavioral robot simulator and a method of relative localization using extremely inexpensive off-the-shelf sensors. 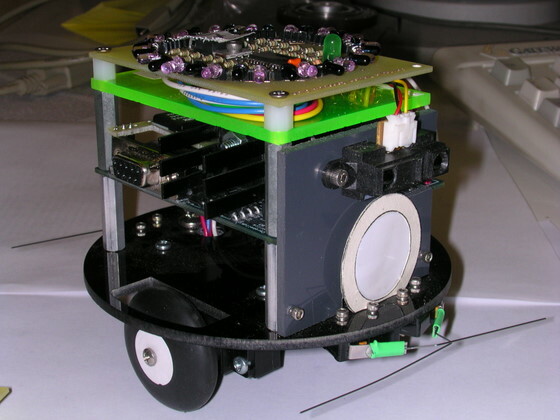 This group published a paper and gave a presentation on the robots and method of relative localization in the 2005 National Conference on Undergraduate research (both below). 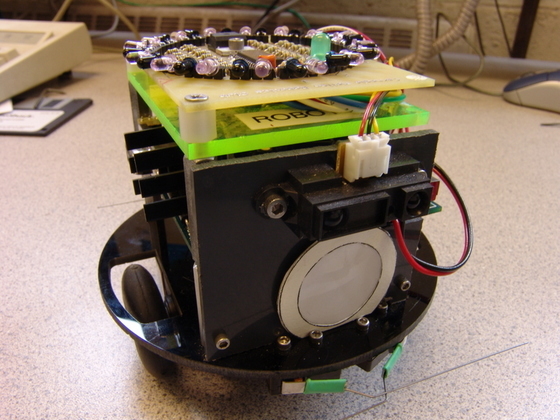 Though I have graduated, the project lives on, and has trained many future leaders for the club, as well as attracting attention from researchers at other engineering universities.